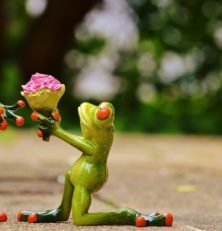 What Is The Best Wedding Gift Couples Can Give Each Other? Home » Diamonds 101 » What Is The Best Wedding Gift Couples Can Give Each Other? The wedding itself is a gift of a lifetime. You committing to spend the rest of your life, in joy and sorrow, in sickness and in health with each other is no silly thing. You vow to stand by your side and love each other without ends. That’s an amazing gift. But, if your love is unbound, the best way to show it is by showering gifts. I have compiled 7 each of best wedding gifts couples can give each other that is not on any list or post, anywhere. Prepare to be surprised! If you want to spice up your wedding, there is no better way to surprise your would-be with a gift so personalized and unique that they wouldn’t have seen it coming. Want to see those exciting list of all time gifts for your wife-to-be or husband-to-be? We’ve got you! It needn’t be Hemingway, but a poem stringing your first words of confession, favorite moments and memories. If you’re strutting, leave us a mail and we will compose the poem free of cost for you. Promise! If your bride to be is a fan of Persian Cats, get her one. Gifting a pet is a BIG sign of commitment. Equivalent to get a kid, ensure that your fiancé is into pets beforehand. A bad surprise can ruin your good times! A simple, minimalist and sweet gesture, bracelets with your name on it is one of the best ways to cut the distance between couples. Better yet, emboss or engrave your marriage date on the inside of the wristlet. Might sound silly, but when you’re having your first coffee on the morning after marriage, these couples’ mugs can fill your smiles. It fits in like a kiss and will prompt you two, to remember the starting days of your marriage, even later. Perhaps it will urge you to kiss all over again! To start with, the cutting board is not a sign you want her to be in the kitchen. So, get both your names are written on the back of it. Engraving in the front is a big no-no as it can harbor feelings of slashing your relationship. Got it? Ask us your doubts below! What can be more exciting than getting tickets (flight + hotel) for your honeymoon exactly where she wants to go. To jazz up the surprise, tell her before the marriage that it’s impossible to go for a honeymoon. Then surprise her on the wedding with the tickets! If finding the perfect gift is a maze for you, then get her 12 roses, a box of her favorite chocolates and a dozen sweet kisses to set the beat. Easy right? You will thank us when she beams. A custom sweatshirt to flaunt your marriage and the tag of ‘just married’, get this custom sweatshirt as a gift for your future hubby. Yet another option is this King and Queen Jersey for your husband! Before you break the news of the honeymoon, adding a personalized touch by getting this suitcase cover or a pair of suitcases embossed with ‘just married. It’s golden because it looks lovely and classy at the same time. Depending on the poison your husband likes, getting custom glasses for beer or wine bragging your just wedded status surprises the man. It’s cute and technically right. This will blow his mind, we bet! You’re moving into a new house or apartment together and one of the things you need is a new nameplate that says both your names together. Make it funny or artistic, getting one will fill his heart with pride. Want to show how committed you are? Do it in a rugged way by booking yourself and the groom for a couple’s tattoo. It will show him you care and totally take him by surprise. This is a chivalrous gift nothing can beat! Want to impress him with your moves? Choreograph a dance in the wedding dress with your bridesmaids or alone, just for him. He will be head over heels in love with you, again. Get a record made with your wedding audio album and get it engraved with your name in the wedding theme, with the date. Fancy that! What’s your fave idea of a gift for your wife or husband? Do you have other ideas to spruce up your wedding? Share it with our readers below. The best one gets the best discount, we promise.